Home » Ye Ol’ Blog » Chuck Lee Customers » Perspective, looking in. On Monday, September 21, 2015 I had the privilege of meeting Chuck Lee and his wife Tammy for the first time. My wife Jenn and I were on vacation in Dallas, TX so we made the short commute to nearby Ovilla, TX where Chuck’s home and workshop are located. We reside in Peoria, IL where I am a Director of Worship and the Arts at United Presbyterian Church and Jenn is a Registered Nurse at OSF Hospital. I started playing clawhammer banjo about 4 years ago when I was involved in a church in Chicago, IL that used folk music in worship. Growing up as a classically trained vocalist, I did not have much experience with this musical art form. To better integrate myself into this community, I decided to take banjo lessons at the Old Town School of Folk Music with Jonas Friddle (who leads the band Jonas Friddle and the Majority). Immediately after taking lessons with this fine teacher and player, I was smitten with the instrument and the Old Time repertoire. 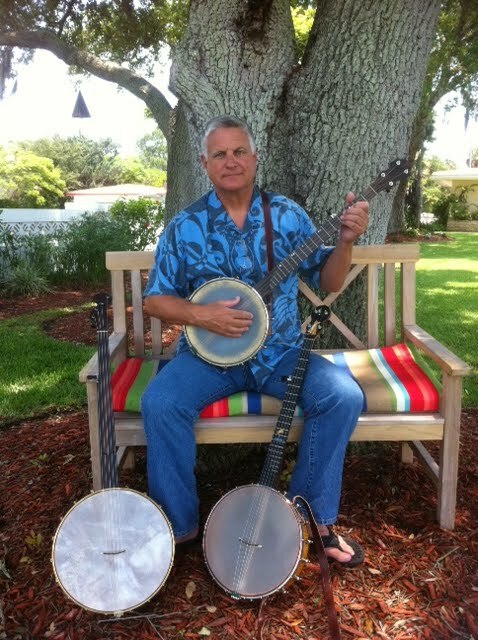 Fast-forwarding a bit, I now use my banjo a lot in leading worship. 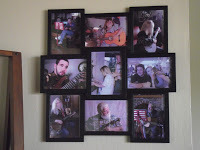 I serve a multi-generational community and have found re-tuning old hymns with old-time inspired arrangements helps to bridge the gap between the “contemporaries” and the “traditionalists”. After a year of being at the church, there is now some form of banjo music in mostly every Sunday service because the congregation has responded so positively to it. In addition, playing the banjo has become a type of musical therapy I have never experienced before. When playing, time seems to suspend, worries slowly drift away, and I am left in a state of utter contentment. In my life, playing the banjo has become a mode of solace; a destination of refuge; a brief departure into serenity. Now that you have a brief introduction from me, I want to share with you the experience I had with Chuck and Tammy during our tour of their workshop. As soon as Chuck greeted Jenn and I, his captivating demeanor and gentle spirit generated the warmest of welcomes. The workshop was quaint, impressive, and overwhelming all at the same time. With hospitable patience, Chuck walked us through each of the stations of his workshop and carefully dictated to us the process of his banjo-making. He spent hours with us talking about stages of construction, asked questions about us, listened to our responses with careful attention, and also shared some about himself and his personal story. The time spent with him that I cherished the most was hearing about his life. A fascinating element of his story is about his Santa Claus business during the months of November and December. With the same craftsmanship he maintains with his banjo-making, he carefully constructs his interpretation of Santa Claus to inspire, care for, and show love to countless children who interact with Chuck during the Christmas season. He even designs, sews, and tailors his own Santa outfits! Being in ministry, I have the privilege of meeting many kind and loving people. But there is something special about Chuck. You can see this in the way he approaches his realization of what Santa Claus is for kids. He creates inspired moments for children to feel safe, to be listened to, and leave motivated to be a better person. During my time with him, I almost felt like a child at Christmastime again. I had an inspired interaction, I felt like I was welcomed in a home where I as a person mattered, and I left with the desire to be a more patient and welcoming person. 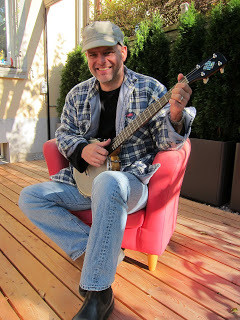 In reading reviews about Chuck’s banjos, people often comment how his instruments have a “soul” or a “big presence” about them. 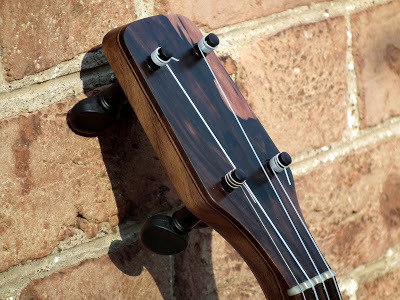 This is not only due to the fine craftsmanship and the quality of the instrument itself; I believe it has everything to do with the relationship between banjo-maker and the banjo. I would venture to say each instrument Chuck makes has a mystical element inherent to its composition. Infused in the instrument’s DNA is the kindness, care, creativity, and passion of a remarkable human being. This is the magic of a Chuck Lee Banjo. It is the culmination of quality materials, the sincere craftsmanship and soul of the luthier, beautifully designed inlays, a gloriously pure finished product, and the insurmountable joy of the musician who is awarded the honor of playing one of Chuck’s banjos. I am honored to soon be one of those musicians. Chuck is making me a custom 12” Ovilla banjo. I chose this banjo for a few reasons. One, I absolutely love the deep rich sound of the Ovilla. The natural beauty of its tone is like nothing I have ever heard before. Second, I felt a deep connection to Chuck and the place of the instrument’s origination. Whenever I play the instrument, I want to maintain a humble reverence for its origins, its soul, and its maker. Jenn and I would like to personally thank Chuck and Tammy for welcoming us in as guests to your workshop, treating us with kindness, and graciously giving up your time to spend an afternoon with us. It has formed a memory that will not be forgotten. This is a great story. I know Chuck from the Santa business and I can tell you he is the FEATURED Santa at the agency I work for. He is warm, welcoming and creative all the time…not just when guests come! 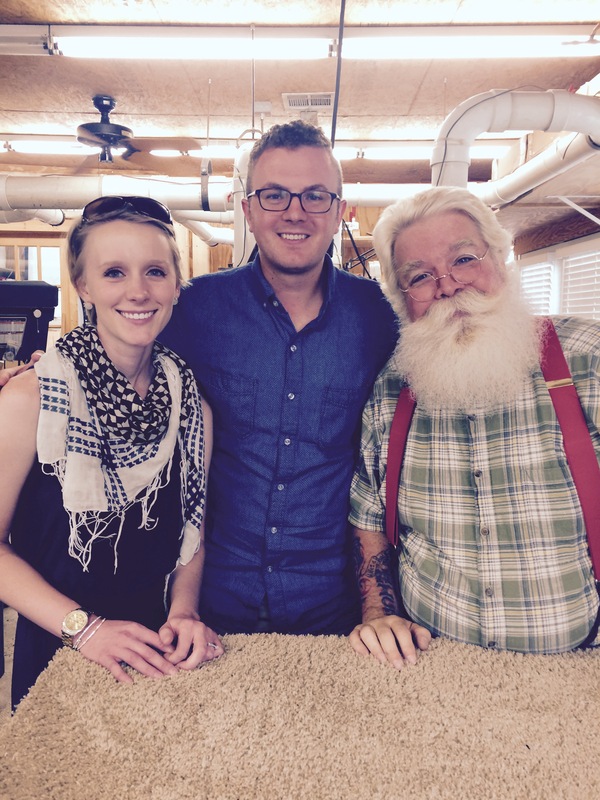 He is a wonderful person, amazing artisan, and an iconic Santa in our area. Thank you for sharing your experience with him. Blessings to your ministry and may the Lord fill your worship services with his powerful, loving presence. I truly wish there were more multi-generational churches!